Fits 1991/1992 FJ80 - A440F - Reprint 147 pages. 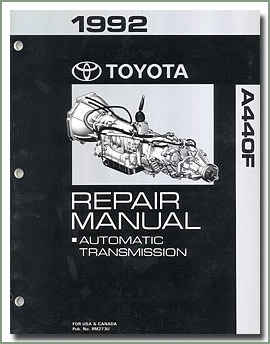 Fits 1993 FJ80 - A442F - Reprint - 129 pages. Fits 1994 FJ80 - A442F. Fits 3 Speed Overdrive - Reprint 14 pages. Fits 4 Speed-7/80 Overdrive - Reprint 14 pages. Fits 8/80-8/87 Overdrive - Reprint 18 pages.